With the average cost of a UK degree at £27,000, the associated outlay for learners to complete their degree programmes has become unmanageable for many. By taking ATHE qualifications at an average cost of £1500 per qualification and progressing on to top-up programmes such as these, learners are able to make substantial savings, particularly when taking advantage of the more economically priced online top-up programmes. 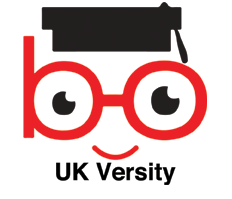 It’s no wonder that many people are choosing to skip their University degree in favour of a manageable online course. Education has moved forward in leaps and bounds and almost any course can be found as a short distance-learning course. This kind of convenience allows people from all kinds of backgrounds to study and gain a qualification that will be really impressive to future employers. Education can be available to you no matter where in the world you live, your experience, your age, or your career so far. It’s never been easier to study with so many options available. You can attend webinars with a tutor, access assessments online, and keep track of your progress easily. You can enrol quickly and start studying right away, meaning your dream qualification could just be a few clicks away. Staff can guide you throughout the registration process and continue providing support alongside your tutors throughout your course. You can find more details on the Courses page of our website, including the qualifications it is necessary to achieve before you are able to apply. And watch this space for further new routes coming soon!